Image for this Picture Brain Test is taken from the Thieves of Egypt Solitaire Card Game. 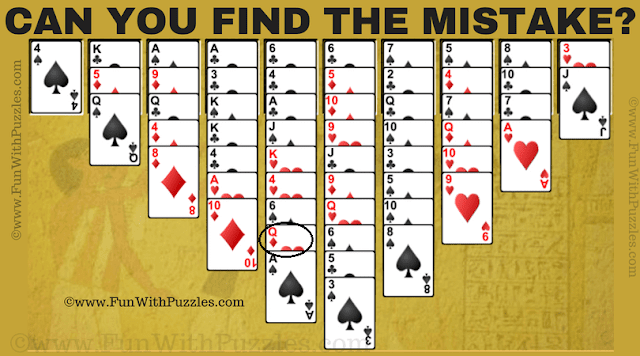 Everything is this given picture looks good, but only sharp minded genius people will be able to find the mistake in this puzzle picture. 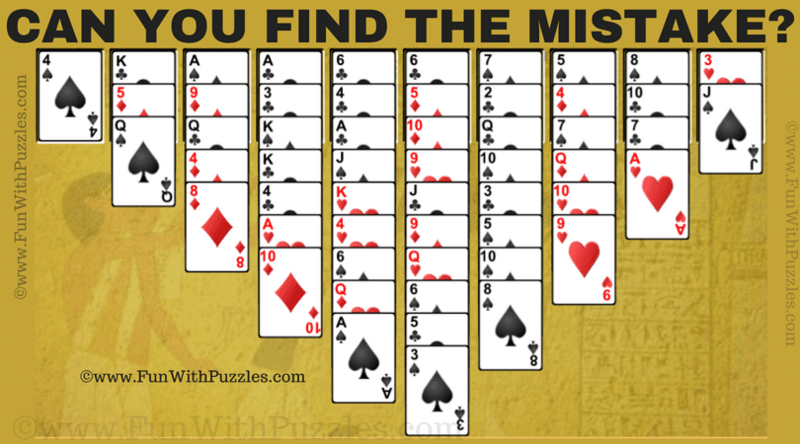 Share this picture with your friends if you are able to pass this picture brain test by finding the mistake in this image. Answer of this "Picture Brain Test", can be viewed by clicking on button. Please do give your best try before looking at the answer.